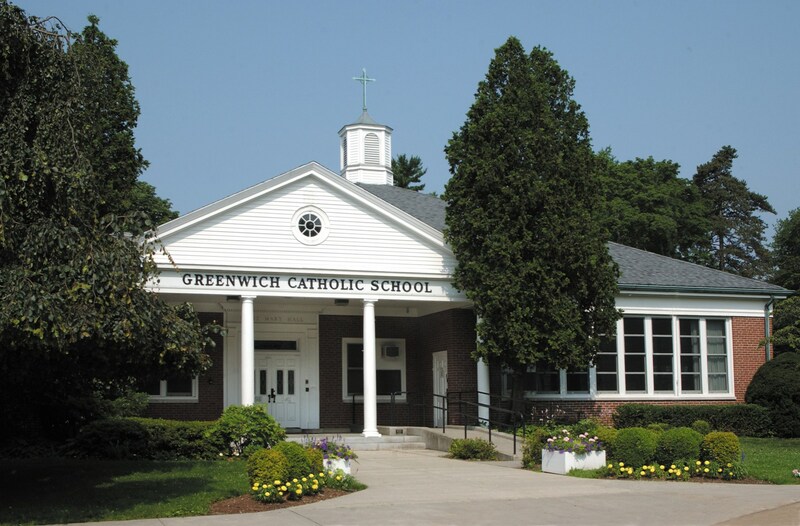 Greenwich Catholic School's history is a testament to a strong commitment to faith and the indispensable value of Catholic Education. In the late 1960s, faced with dwindling enrollments in area Catholic elementary schools, a group of dedicated Catholics came together with a singular goal: to ensure that Catholic education would maintain a presence in our community. Prior to 1970, each parish in Greenwich had its own parochial school. As a result of declining enrollment in these parochial schools, the Diocese of Bridgeport established the first Regional Catholic School System in the United States on July 17, 1970 to create a diocesan school to serve the parishes of Greenwich, which include Saint Michael, Saint Mary, Saint Catherine, Sacred Heart, Saint Paul, Saint Roch, and Saint Agnes. In 1991 GCS moved from its location on Stanwich Road to the present campus, the former home of St. Mary's High School. Forty-eight years later, we remain grateful for the foresight in not only in preserving the option of Catholic education for children in the greater Greenwich area but also in designing an innovative solution to a crisis threatening that option. On July 1, 2018, Greenwich Catholic School officially became an academy and the newly appointed Board of Directors assumed their responsibilities.